The trucking industry is one of the few areas that offer long-term job security in today’s volatile marketplace. After all, the trucking industry is an integral part of the American economy and the primary way goods are transported throughout the country. Every product from the furniture in your home to the clothes one is wearing to the food you eat has likely arrived at its destination via truck. 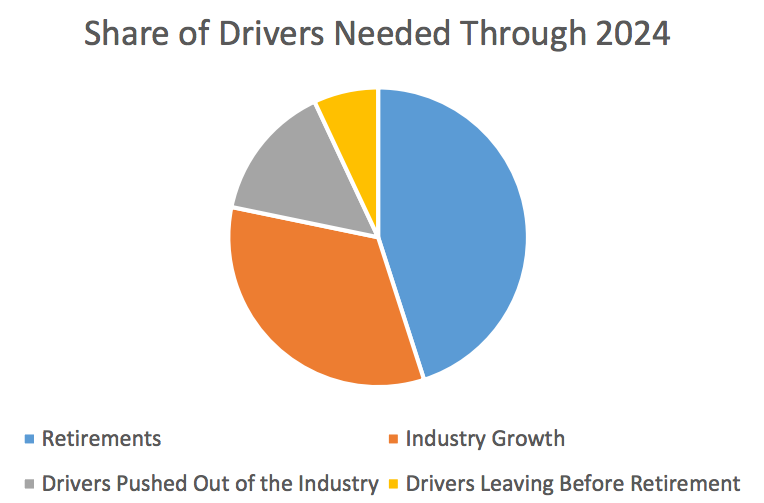 Though the problem facing the shortage of trucker job openings has been turning around, the industry may still be on the precipice of heading back towards old trends. Many trucking companies are extending opportunities to drivers of all different backgrounds, including those who may have had a short gap in between positions. Luckily, the trend of refresher courses for drivers has become proliferate in the industry, with many companies seeking out truckers who have had recent experience rather than those who are currently out of a position. If you were once part of the nationwide trucking family and are considering returning to the profession, you’ve made an excellent choice. A refresher course may help seal the deal for a that excellent position one may be looking for. There are dozens of reasons to enroll in a commercial driving review class. If you haven’t used your CDL for an extended period of time, it’s easy to forget the essential skills and laws that are required. Refresher courses reinforce safety and update the skills necessary to safely and efficiently drive the roads and highways across the country. It may also be that your CDL has lapsed.Each state sets its own lifespan on a commercial driver’s license to allow them to periodically reevaluate the driving record of truckers – Texas, for example, requires drivers to reapply every 5 years. So is often the case that a CDL will expire at different intervals in different areas of the country. In some cases, the driver’s CDL had been canceled, suspended or revoked. The driver may have served the required time for being off the road and is now ready to reapply for their CDL. Whether you have been driving a rig for a decade, or if you’ve been with the same carrier for your entire career, or if you own and operate your own trucking business, refresher courses offer significant benefits for every person behind the wheel. Driving a commercial motor vehicle is a big responsibility that requires special skills and knowledge. Taking a course that offers updated information on regulations and on-road practical driving can invigorate anyone and make even the most seasoned driver more competent. These types of courses can support current and former truck drivers by keeping them “up to speed” on various aspects of the profession. Driving skills change over the years and if you’ve taken a break from truck driving, then you may have forgotten certain techniques or you could be out of practice. Most refresher courses have a component that puts a person behind the wheel and on the road for real-time training. 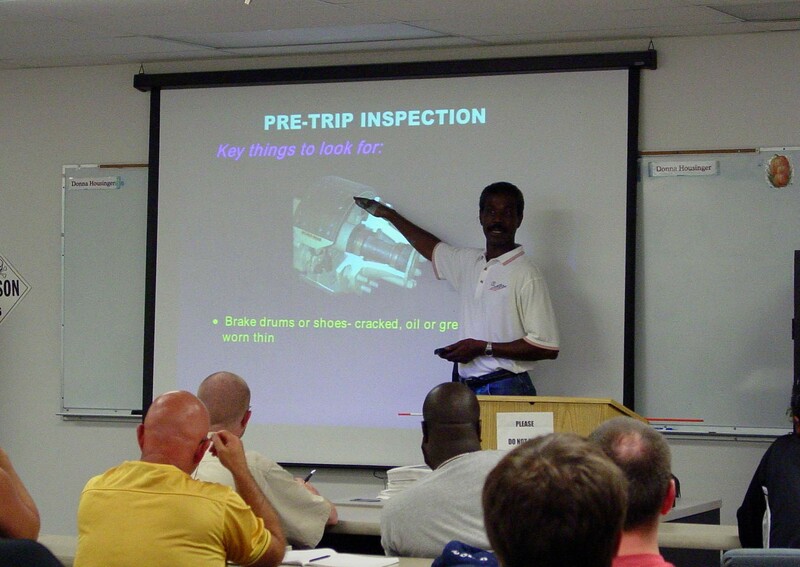 Refresher courses are also helpful if you’ve been driving one type of truck and will be converting to another (i.e. gooseneck versus semi-truck). Although there are similarities between the equipment, there are several nuances that each vehicle possesses, often requiring different skills. Turning radius, braking, safety and other aspects vary with different trucking vehicles.The more proficient you can be, the better service you can provide to the customer. It is common to find former drivers returning to the road and ready to get behind the wheel of a big rig truck. For some, it may be necessary to retake the knowledge, skills and/or road test. This can be an intimidating process for those who have been away from driving for months or even years.For these individuals, it is vital that they refresh their abilities and knowledge before they apply to take the CDL test. Many driving schools offer practical experience behind the wheel to enhance the confidence of drivers. The old saying, “practice makes perfect” definitely applies to these drivers re-entering the trucking arena. CDL rules and regulations are continually updated by the Department of Transportation (DOT). If you initially received your CDL several years ago, it may be time to enroll in a refresher course. Everything from Hours of Service (HOS) to procedures for maintaining a proper logbook is constantly modified.Refresher courses provide up-to-date information on the current CDL standards. Failure to comply with regulations could result in legal problems and other issues. How to acquire information on weather, road conditions and speed, as well as the laws for using everything from seat belts to electronic devices, all affect road safety and, much like other parts of the industry, they are constantly changing. Driving schools address these and other issues in their refresher classes to assure drivers make safety driving a priority. Reapplying at your former company is not unusual, although you will often be expected to take a refresher course. Persons who go too long without a truck driving job may make companies hesitant to hire them. Before considering them for employment, trucking companies frequently request that individuals who are already a licensed driver but who have been out of the trucking industry for a while complete a refresher course.It makes sense to get ahead of the game and attend a refresher course before seeking employment. Enrolling and completing classes allows a driver to stand out from the crowd when applying for a position with a fleet. By adding to your resume that you recently attended a refresher course, you are showing your commitment to excellence behind the wheel. Enrollment in a refresher course shows you are proactive in advancing your career and would be an asset to the carrier. It gives you an advantage over other applicants to show your dedication to excellence. 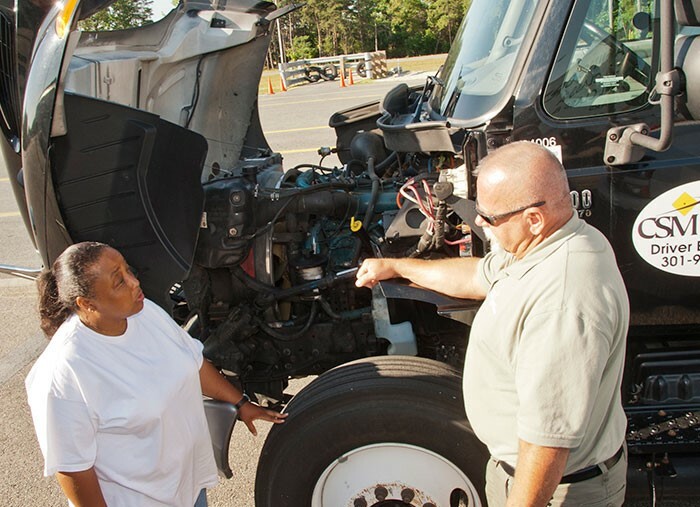 Refresher classes also offer the opportunity to meet other trucking professionals and some schools even bring in potential employers as part of their program. These opportunities may add up to better and consistent employment. If you are an experienced driver who is required to renew your commercial driver’s license, you may be surprised by all the changes that have taken place in the rules of the road. Finding a CDL practice test online is a simple procedure, as is taking the quiz and see just how much you know about the latest present-day laws. After you check your answers, you will likely discover that you could benefit from a refresher course to assure you pass the CDL test on the first try without interrupting your ability to accept a trucking job. Taking a review class will assure that you are fully prepared to pass your test. Independent Driving Schools. There is a multitude of schools that offer driver refresher courses.All require students possess a “Class A” CDL to be eligible to enroll in this type of training. The length and focus of these review classes vary greatly. The course you enroll in depends on how much experience you have, how long it’s been since you’ve used your CDL, and what you want to focus on. For those operating in larger states such as Florida, options for independent refresher courses may be more bountiful than those seeking refresher courses in a state such as Nebraska. With all these options, there is really no reason to avoid enrolling and attending a training program to enhance your driving skills and advance your education both on and off the roadways. If you work for a specific carrier, they may offer refresher courses for their own drivers. These operators teach up-to-date industry standards to ensure their drivers know the latest rules and regulations for their particular state – those in California, for example, are frequently subject to new regulations. These programs may prevent violations and even disqualifications. In-house refresher courses are less expensive, but they may be rare and hard to find. So whether you need help passing the CDL exam or you want to sharpen their skills, refresher courses are never a waste of time. It may not be easy to admit you would benefit from a refresher course, but the advantages to taking these types of classes can provide a distinct advantage in securing a job, driving safely on the highways and advancing within your company. Whether you’re renewing your CDL after years of experience on the road, or you’re looking to learn more about the regulations, a refresher course can help you improve your skills behind the wheel of a tractor trailer. Knowledge is power, so jump back in and keep learning!